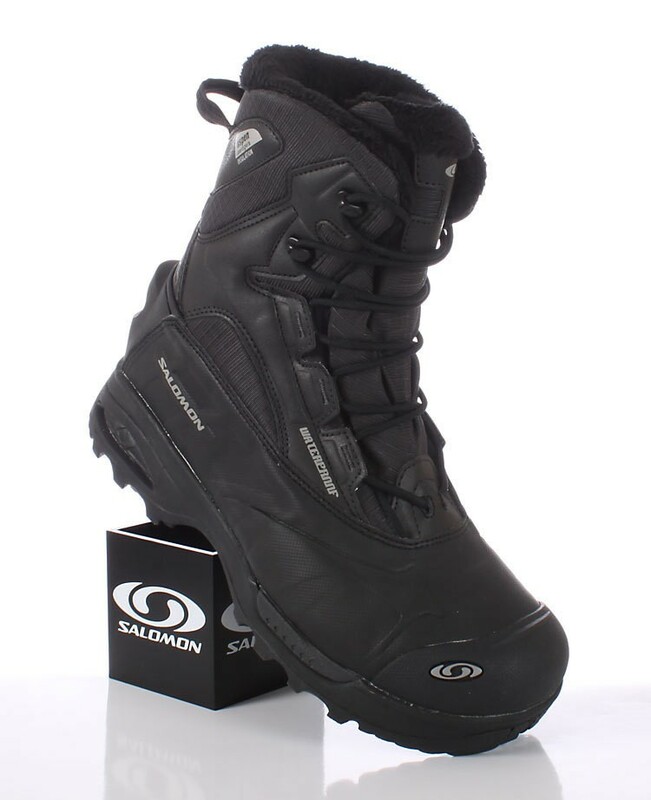 The Men's Winter Boots Salomon Toundra is a mid winter shoe for the extreme cold to -40 degrees Celsius is designed. The high-tech winter shoe has the Aspen Aerogels (TM) insulation technology - this is admitted even by NASA. The approximately 3.6 cm thick sole for the optiale insulation against the cold ground. Solomon here has the right rubber compound optimized for Porfil more slip resistance on snow and ice develops. The best foot Conformal Salomon Toundra is only about 700g with one of the lightest in the category of winter boots for extreme cold. Of course, the one versträrkte Toundra mid heel with heel notch and toe cap. It's also ideal for the use of snow shoes for winter hiking. Salomon Men's Winter boots should be selected in about a larger number. Dess Because we have created for you a Salomon Size Chart. This allows you to choose your correct size for your Salomon winter training. We are happy to advise you personally. The size and fit is the most important for a winter shoe.